What is the mystery of the LEGEND OF THE SHADOWCLAN? The Arashis believed themselves to be just an average family, but everything changed the night that Dr. William Arashi inadvertently found himself in a battle with well-armed assassins, and he not only survived, but he defeated them! Exhilarated and confused, Arashi now discovers that this attack was not random, and that he and his family are anything but ordinary--they are members of an ancient and powerful ninja family known as the Shadowclan. But now that their secret has been discovered, they realize they are ALL in great danger! 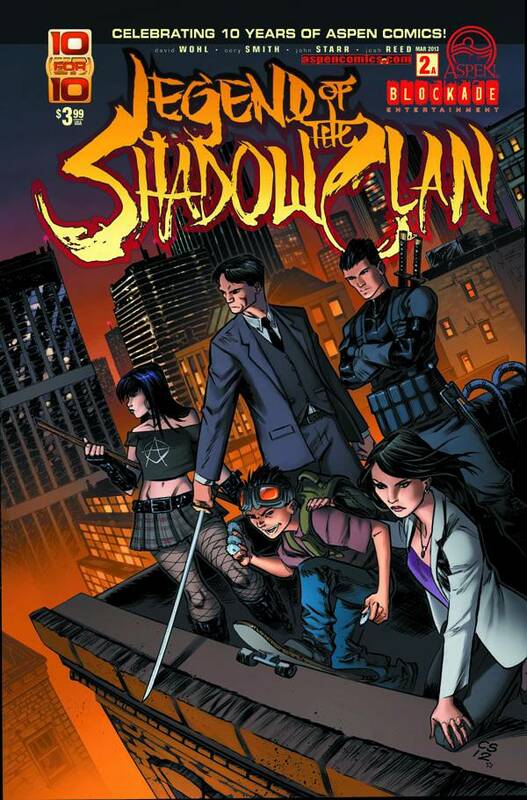 Writer David Wohl is joined by the artistic talents of Cory Smith and colorist John Starr, as they bring to you the thrilling new adventures of the LEGEND OF THE SHADOWCLAN!